Our organization is one of the renowned names of the industry engaged in offering a wide range of high quality Saw Blade Milling Cutters to the customers. The entire range is designed and manufactured by our team of highly experienced professionals. Moreover, Hacksaw Blade Milling Cutters are checked on certain well-defined parameters to gauge their defect-free nature. In our range, we offer Hacksaw Blade Milling Cutters, Taper Band Saw Blade Cutters and Slitting Saws. 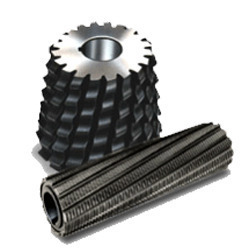 We are an eminent names of the industry engaged in offering high quality Metal Slitting Saws to the esteemed customers. The Slitting Saws offered by us are designed by a team of highly skilled & experienced professionals, at our state-of-the-art infrastructure. Moreover, these products are extensively used to cater to general slotting and sawing applications. We are one of the renowned organisations engaged in offering high quality Taper Band Saw Blade Cutters to the customers. These Taper Band Saw Blade Cutters are manufactured using high-grade raw material as well as by employing the most modern facilities, at our state-of-the-art infrastructure. In addition to this, we make timely delivery of the ordered products at the clients' end with the support of our wide distribution network. 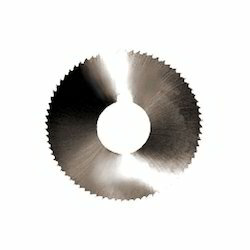 Looking for Saw Blade Milling Cutters ?